A new museum has just opened in Amsterdam. 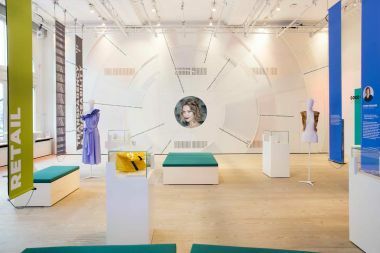 The Fashion for Good Experience museum is a fun, immersive, high-tech and interactive venue that is home to loads of information about how our clothes are made and it discloses lots of disruptive ideas in sustainable fashion. Take a virtual tour. It's just a click away! By wearing an RFID bracelet, visitors can live a personalized digital journey and learn about the history of good fashion, discover sustainable products and explore fashion innovations of the future such as Stella McCartney’s dress dyed with engineered microorganisms by Colorifix and a Mycotex dress made from mycelium, the “root system” of mushrooms.